Hey there! 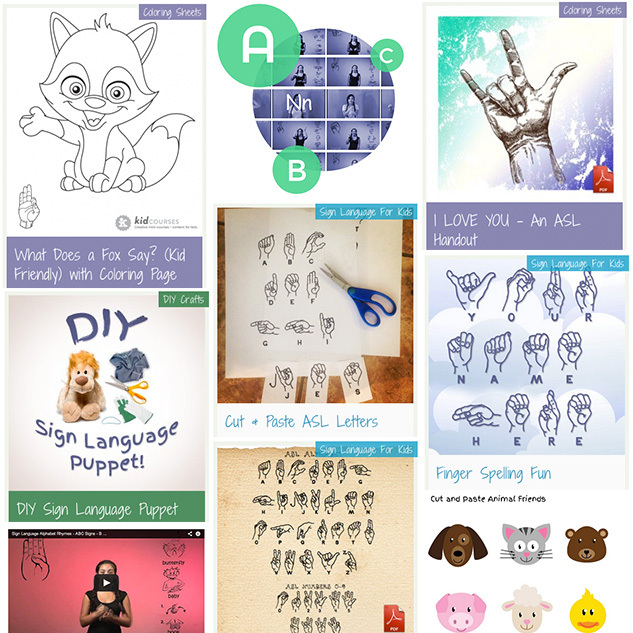 Thanks for checking out our ASL resources. 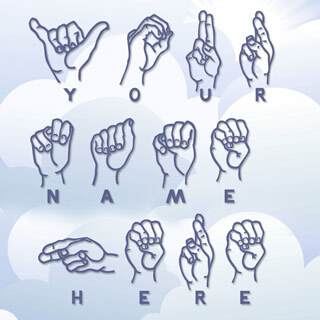 We started teaching ASL for free, back in the early 1990’s and have been adding to our collection over the years. Click the image below to jump to our “fun feed,” which is an assortment of all the fun free resources that we have added to date, or scroll on for info on our most popular activities and free printables. Why Start Teaching Sign Language When Your Children Are Young? 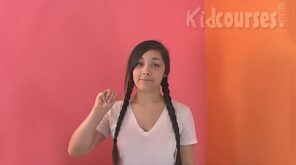 Many parents who want to introduce sign language for kids are unsure of the best age for kids to start learning. They may be afraid that, if they start too early, the child will not be able to learn and understand what the signs mean. Other parents worry that teaching a baby or toddler sign language may make them talk later or discourage them from practicing speech and using their words. In fact, the opposite is true. Research has demonstrated that adding the visual and kinesthetic elements (American Sign Language) to verbal communication helped to enhance the vocabulary, spelling, and reading skills in the participating preschool children. This research was conducted by Dr. Marilyn Daniels, a professor of speech communication at Penn State University. Babies as young as 6 months can learn to make and understand basic sign language and communicate with others. By teaching the spoken word along with the sign, many parents find that their children learn to speak faster and more easily than many of their peers. If you are wondering when the best age is to learn sign language for kids, then the answer seems to be while they are only a few months old. By starting at 4 to 6 months, you can help your baby communicate with you and begin learning sign language naturally and easily. Many children will make up their own signs, signals, and motions to communicate, but they might go unnoticed or the parents may not understand them. By teaching your child the correct signs to use, you will not only be giving them a good basis in another language that they can use to communicate with others as they grow, but also sharing a language with them before they are able to speak clearly. This usually makes both baby and parents happier and more frustrated, because a child can simply sign for “mommy” or “daddy” or “milk”, instead of growing upset and hoping that you will be able to decipher their cries. One of the first things to consider when teaching kids sign language is your overall purpose. Some parents only use sign language when their children are very young and do not continue teaching or learning as the child grows and learns to speak. For these children, any of the some of the books or free online resources on baby sign language may be appropriate. 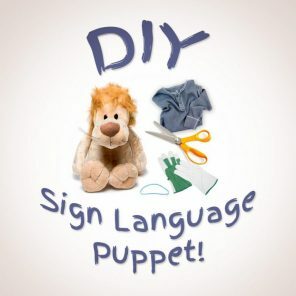 Just be aware that some resources on sign language for kids may contain simplified or made up signs, and not “real” sign language that will be understood by others. For most other people, you will want to make sure that you are teaching “real” sign language, or ASL (American Sign Language). This is an actual language and is used by deaf people throughout America. If you are learning sign language along with your child, teaching them so they can communicate with deaf or hard-of-hearing friends or family members, or teaching a child with speech or language difficulties, then it is especially important to make sure you are teaching your child ASL. Sign language for kids and their families can be a fun learning experience, but it becomes so much more valuable when they can communicate with others and build and grow their sign language skills as they grow older. The free resources below will help you do that. 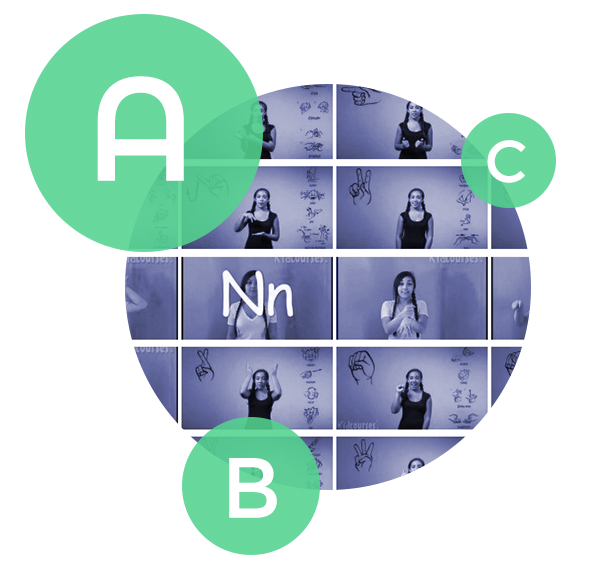 Click to watch all 26 ASL videos. 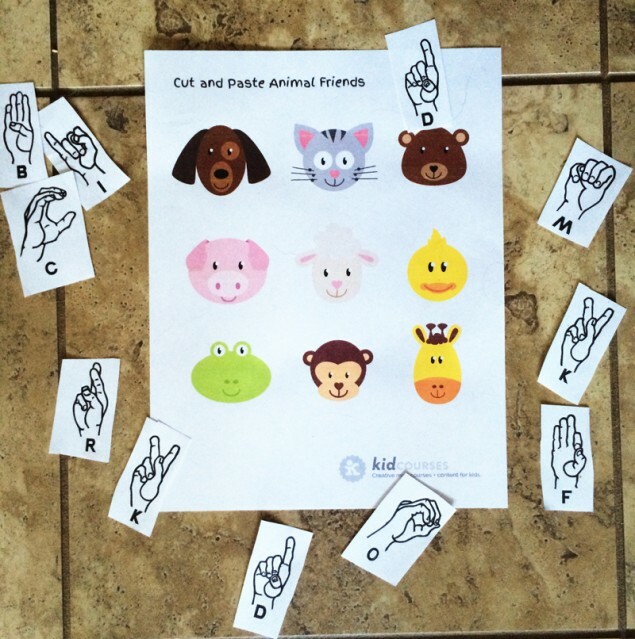 You can also purchase a 26-page PDF handout which includes the rhymes and illustrations for all 26 letters for just $3 in our shop: Sign Language Worksheets for Kids! 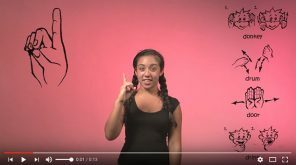 The basic constituent order of clauses in ASL is subject–verb–object. However, the subject, object, or both may be expressed as a topic and then omitted from the clauses and sentences that follow, as ASL is a pro-drop language. The full sentence structure in ASL is [topic] [subject] verb [object] [subject-pronoun-tag]. Topics and tags are both indicated with non-manual features, and both give a great deal of flexibility to ASL word order. Within a noun phrase, the word order is noun-number and noun-adjective. ASL does not have a copula (linking ‘to be’ verb). For example, my hair is wet is signed ‘my hair wet’, and my name is Pete may be signed ‘[name my]topic P-E-T-E’. Daniels, M. (2001). Dancing with Words: Signing for Hearing Children’s Literacy. Westport, Connecticut: Bergin and Garvey. Felzer, L. (1998). A Multisensory Reading Program That Really Works.Teaching and Change, 5, 169-183. Daniels, M. (1996). Seeing language: The effect over time of sign language on vocabulary development in early childhood education.Child Study Journal, 26, 193-208. Daniels, M. (October, 1994). 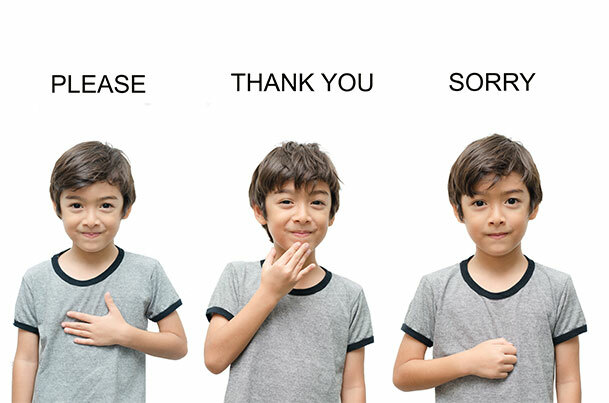 The effects of sign language on hearing children’s language development. Communication Education, 43, 291-298. Wilson, R., Teague, J., and Teague, M. (1985). The Use of Signing and Fingerspelling to Improve Spelling Performance with Hearing Children.Reading Psychology, 4, 267-273.